Untappd is a new way to socially share and explore the world of beer with your friends and the world. Curious what your friends are drinking or where they're hanging out? Just check their profile where you can toast and comment on their beers! Untappd will offer you beer recommendations based on what you and your friends have been enjoying, so you’ll have no reason to not try something new! As additional encouragement, Untappd allows you to earn a number of cool badges for completing a variety of different criteria. Ready to start drinking socially? Sign up here! A Southern California native, Tim Mather is the design side of the Untappd team. While pondering various app ideas, the idea behind Untappd was born - a melding of technology and a recently discovered love for all things beer. Having majored in graphic design at Brooks Institute and having worked with many high profile clients, Tim set about creating the front end of what became Untappd. 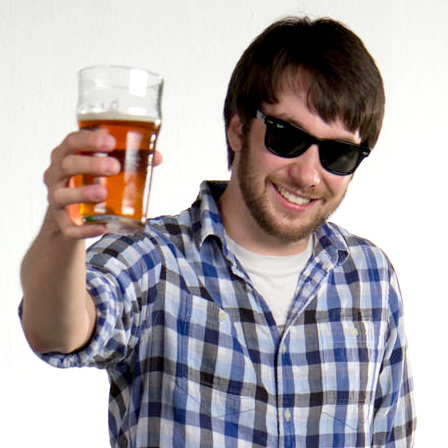 Living in the craft beer haven of New York City, Greg is the backend developer for Untappd. After experiencing Rare Vos for the first time, he instantly fell in love with craft beer. While some people enjoy reading books or watching movies, Greg's passion is to code. With that being said, after Tim and Greg came up with the idea of Untappd, Greg had a working prototype the next day. 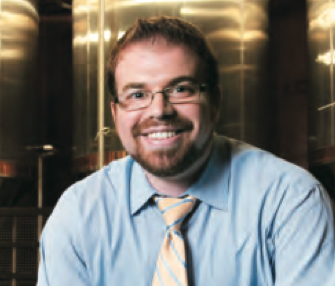 Being able to combine his passion for development and craft beer allowed Untappd to be born. An incessant doodler in grade school, somehow managed to take that well-honed skill on to a rather successful career as an illustrative designer – much to the chagrin of his beloved sixth-grade teacher, Mrs. Brewer. Now, the creative director for his one-person design shop Leightonhubbell.com, he gets to do what he loves – designing logos, corporate identity systems, promotions, packaging design, illustration, print, web design and other interesting stuff for a range of companies and organizations. Clients have included one-person entrepreneurial companies, education facilities, nonprofit organizations, government agencies and major international corporations.